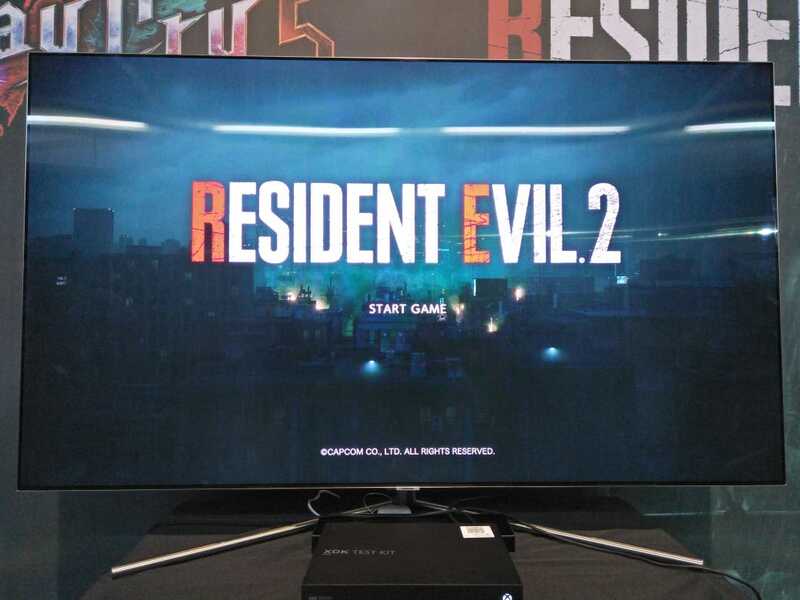 This year’s ESGS was a first for me and the one thing I definitely had my eye on was that Capcom was attending and was bringing demos of both Devil May Cry 5 and Resident Evil 2 Remake. Amongst the excited crowd wanting to get a quick taste of Capcom’s newest games, the booth was packed and it was a test of patience to be able to play. However, the inner fan in me persisted so after a 5 hour ordeal, I managed to play both demos. The game I first managed to try was Resident Evil 2. Since I had not managed to play the Raccoon City games, and my start to the franchise was to RE4 (though I only managed to finish it years later thanks to a PS4 port) and RE7, this remake was a godsend from Capcom to me to make it easier for me to fully understand the game’s lore. The playable demo gives us a choice between playing as Leon or Claire. I opted to play as Claire as she’s an unfamiliar character to me and if I was going to try something new might as well go all the way right? Once the demo starts, it’s very clear that Capcom spared no expense on making this remake because the moment I managed to control Claire the first thought I had was “wow.” The graphics were positively gorgeous. For me, it felt like it had a distinct difference of quality versus Resident Evil 7, which says a lot since 7 was made with modern graphics. Sadly, with a 10-minute time limit, I don’t have time to gawk at the nice graphics. RE2’s POV is similar to RE4s while the controls seem to be a hybrid of RE4’s main/sub-weapon aiming, with the addition of RE7’s instant weapon/sub-weapon swapping. An unfamiliar feature to me is the capability to craft ammo but this makes me excited because having this adds more flexibility and challenge to the game. Cutscenes are also wonderfully rendered, with each and every detail very clearly. I could clearly see freckles on a character. Combat UI is pretty nice for this remake, as your life bar is indicated by a heartbeat meter (that only shows you when you take damage), and it changes color the more damage you incur ( from green > yellow > red, similar to the older RE games), but damage is also reflected on your character (Claire/Leon gets scrapes on their faces when they get hurt). This detail to damage is also reflected on enemies, for example, if you throw grenades/incendiaries on enemies and they survive, they stay charred. While my demo ended with me dying and not being able to “clear” it, I still managed to get a taste of what the RE2 remake can offer, and it gets me really excited. January can’t come any sooner!